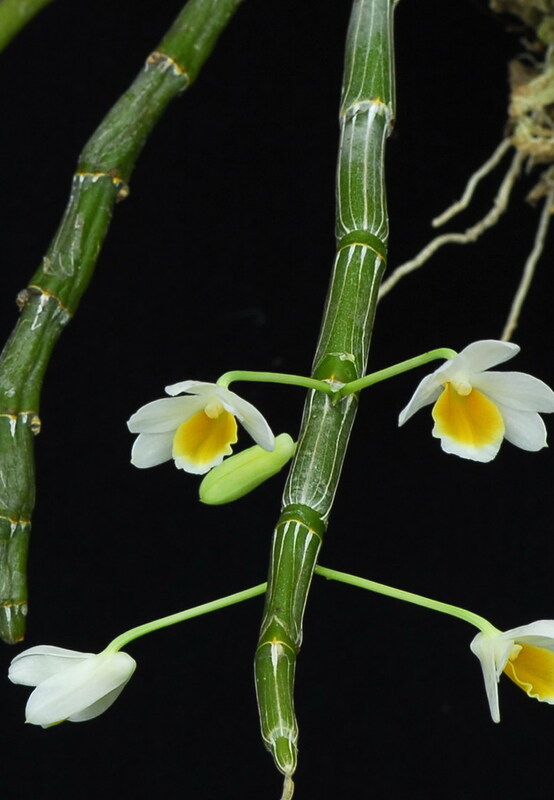 Dendrobium maguanense, a new species from Yunnan, China, is described and illustrated in this study. 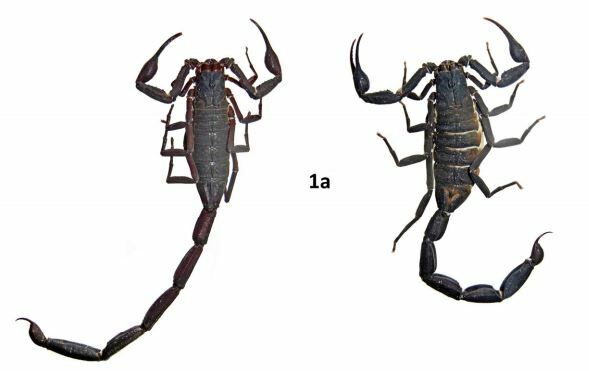 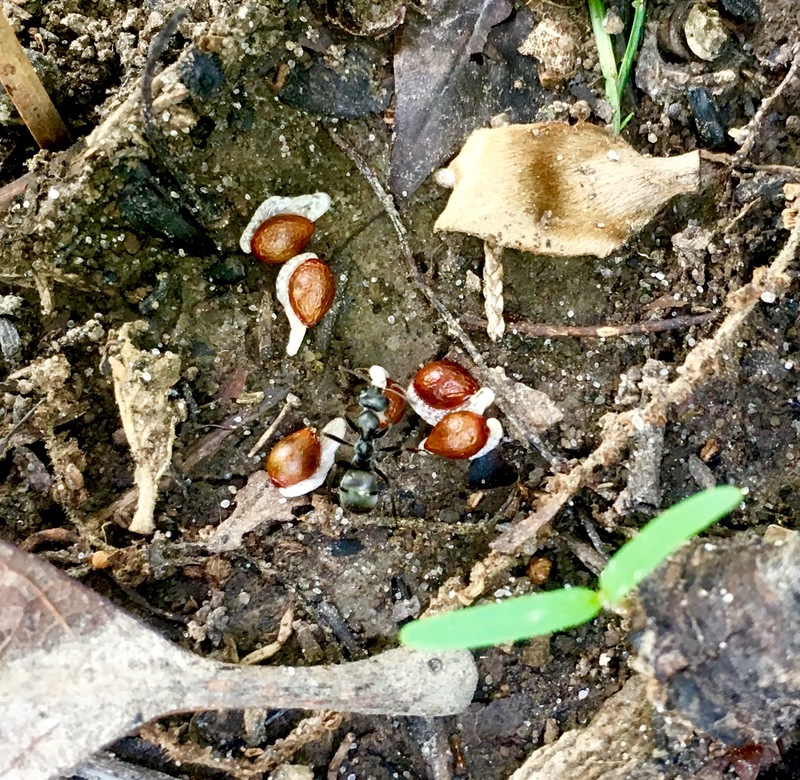 Morphological study indicates that D. maguanense is similar to D. crepidatum, but differs in having much smaller flowers, oblong sepals, obovate-elliptic petals and an obovate lip with three weak longitudinal ridges and a pubescent basal callus. 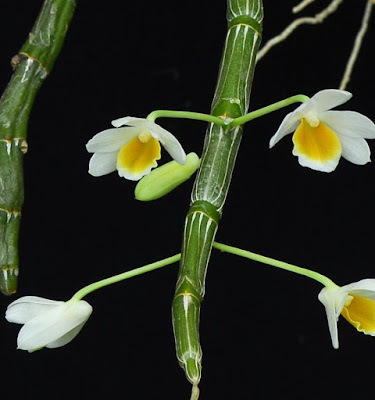 Molecular analysis based on nuclear and plastid markers shows that D. maguanense is closely related to D. crepidatum and this pair to D. crystallinum, D. section Dendrobium.